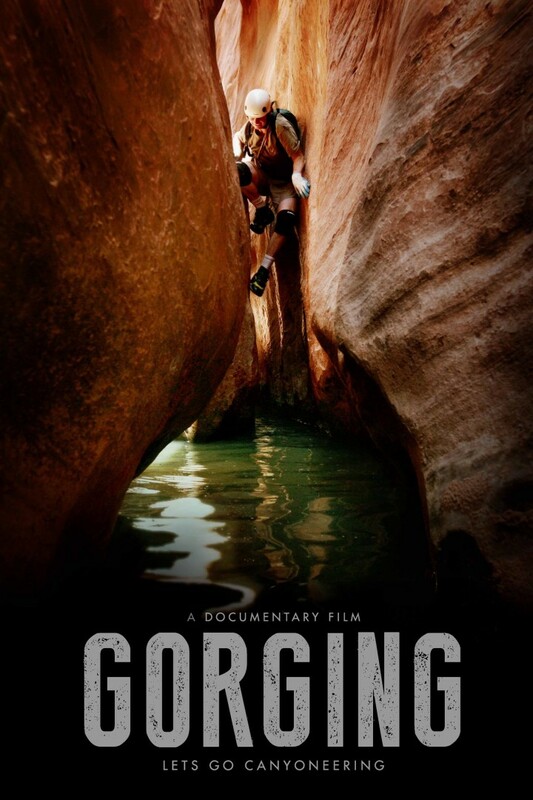 ST. GEORGE – “Gorging,” a feature documentary about the sport of canyoneering, is coming to St. George for a special one-night screening event sponsored by DOCUTAH. Years in the making, “Gorging” recounts the history of the obscure sport and delves into the spirit of modern-day outdoor recreation. Filmed predominantly in Southern Utah, including locations near Zion National Park, the film features gorgeous canyon scenery and perilous adventures. The screening is scheduled for 7 p.m. Thursday at the Megaplex Cinema 6 on Main Street. The filmmakers along with members of the cast will be in attendance, including Rich Carlson, Dennis Turville and Steve Cabourne. A question-and-answer session will follow the screening, along with a raffle giveaway of canyoneering gear provided by local outdoor store The Desert Rat. “Gorging” is an adventurous look at canyoneering, the sport of exploring canyons by means of hiking, swimming, climbing and rappelling. Relatively obscure, the sport is most recognizable from the grisly accident of Aron Ralston, who severed his own arm while trapped in a canyon and was later immortalized through a gripping book and film. Experiencing an overnight spike in popularity by the late 1990s – in the wake of canyon accidents appearing on broadcast news, along with the advent of the internet – the sport became inundated with participants of all backgrounds and skill levels. Faced with a new era of off-the-couch recreationalists, three influential pioneers, a canyoneering instructor, photographer and guidebook author each respond to a growing interest in the dangerous activity. A tale of adventure and risk, “Gorging” employs the story of canyoneering to examine larger questions about the pursuit of thrills and the consequences that follow.